Every draft choice comes chock full of implications. It could mean a veteran player’s time is coming to an end, or a free agent signing is imminent. We could wait a while longer to understand more of John Schneider’s master plan, or we could just have some fun now jumping to unfounded conclusions. Let’s do that. I wrote a few posts back about what it might look like if the Seahawks chose to hedge their bets on signing Russell Wilson. It was admittedly far-fetched, but I have reason to believe it is not quite as far-fetched as most fans want it to be. There were also some rumors that the Seahawks were interested in drafting a quarterback this year. Attending the Bryce Petty pro day workout was one supporting sign of that theory. Petty ended up getting drafted early in the fourth round. Adam Schefter reported that the Seahawks were working hard to move way up in the fourth to grab the Titans pick (#1 in that round), but Tennessee decided to hold onto the pick instead. Imagine what everyone would be saying today if Petty was not only selected, but Seattle had surrendered draft capital to nab him. The clear implication would be that the Seahawks are not beholden to any one player, even the quarterback. It never happened, so now the opposite perspective takes hold. There are no quarterbacks on the roster who can reasonably be considered competition for Wilson. Developing a young quarterback can take time, and the Seahawks only have two years where they could realistically franchise Wilson if they needed to. Leaving the draft without a promising young signal caller means the Seahawks either have less leverage in the Wilson contract negotiations or that they have a far riskier path to walk if they are going to play hardball. Each year, fans clamor for the new big wideout in the draft. Each year, the team eschews the tall receivers for ones of average (Paul Richardson) or below average (Tyler Lockett) size. They had the chance to draft a pretty good one this year in Jaelen Strong, and instead chose to bundle a bunch of picks for Lockett. That leaves me thinking the Seahawks believe they already have a stable of big receivers on the roster. We know about 6’5″ Chris Mathews. Kevin Norwood is also 6’2″ tall. Neither are a sure thing to play a meaningful role this year. My bet is the Seahawks think of Graham as a big receiver as much as they think of him as a tight end. We may even see formations with three tight ends on the field in non-short yardage situations. Graham could split out, while Anthony McCoy and Luke Willson are up on the line. Training camp will be eye-opening when it comes to seeing just how the team envisions Graham being utlized. The Seahawks drafted three interior offensive lineman. Tom Cable mentioned trying all of them at the three interior line spots. I am not yet convinced the team is satisfied with their options for the center position on the roster. Cable, Carroll and Schneider will all probably sleep better if they bring in a guy who they can depend on for that role. Maybe one of the young pups shows some amazing potential at rookie mini camp this weekend. Maybe Patrick Lewis is looking great. Maybe Lemuel Jeanpierre is enough insurance. My gut tells me they will still add one more body to that pile to leave nothing to chance. 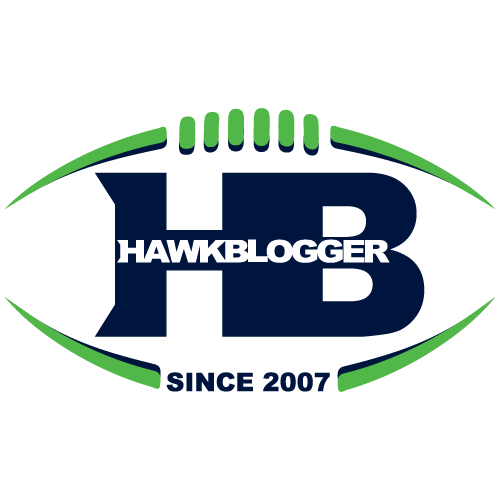 Beginning of the end of Jermaine Kearse and Doug Baldwin? Nobody stands up for the Seahawks receiving corp more than I do. I love the way they go about their business. They are among the most efficient crews in the NFL. There is also something awesome about the story of unrestricted free agents like Jermaine Kearse, Doug Baldwin, Mathews and Ricardo Lockette dominating the snaps. The league, however, is a business. There is little room for sentimentality when building out a roster and salary cap plan. I look at the addition of Lockett in this draft class, the potential for more use of Graham as a wide receiver, club control over Mathews, Norwood, and Paul Richardson, and the expiring contracts of Kearse (2015) and Baldwin (2016), and it seems like the cards are stacked against Kearse and Baldwin lasting much longer in Seattle. Baldwin could be cut after this season for a $4M cap savings. He was the team’s leading receiver last year, and has potential to improve as Wilson improves as a pocket passer, but his cost may prove too great, especially if Lockett shows a lot of promise on the inside. Kearse will never be a massively productive receiver, but he has an uncanny knack for making the biggest plays at the biggest moments. Those players help you win. There are a lot of people gunning for his job, and he has to bounce back from what was a disappointing 2014 season. He was a better player as a rookie. If Norwood, Mathews or Richardson emerges, it would not make a ton of sense to spend meaningful cap dollars on another receiver in this offense. A forgotten rookie from last year was the lighting fast Kevin Pierre-Louis. He was just starting to step forward when he got injured and was lost for the season. His natural position is at WILL linebacker, which is where K.J. Wright starts. Wright was just signed to a long term deal, in part, because of the versatility that allows him to play any of the three linebacker positions. Most folks are inferring that the pick of Frank Clark was a shot across the bow of Bruce Irvin. What I have seen of Clark projects more as a defensive end or rush defensive tackle like Michael Bennett. He does not nearly as comfortable in space as Irvin does. Clark could help Seattle feel okay about letting Irvin the nickel pass rusher go, but then would still need to fill the SAM linebacker spot, assuming Clark is not capable. That’s where KPL comes in. He is not the right body type for the under front SAM that Irvin plays. He is too light, and would struggle to set the edge. Admittedly, Malcolm Smith played some SAM, but he was a natural WILL the way Pierre-Louis is. Either way, if KPL flashes enough to force the team to find snaps for him, it could lead to a domino effect where Wright shifts back to SAM and KPL becomes the WILL. Put that together with Clark, Obum Gwacham, or Cassius Marsh pushing for nickel edge pass rush reps, and you could start to see where the team could decide to let Irvin move on. Most fans see this as a foregone conclusion. I do not. Schneider took exactly zero defensive tackles this year. There are still some murmurs that Brandon Mebane or Tony McDaniel could wind up as cap casualties. Even if they do not, the cupboard is pretty bare at that crucial spot. Ahtyba Rubin is still an unknown. Jimmy Staten and the other run stuffing options are unknown. Jordan Hill is a poor run defender the way Justin Britt is a poor pass blocker. Keep an eye on any veteran cap casualties from other teams along the interior line. Run stuffing defensive tackles are not always highly sought after. Kevin Williams came to Seattle in June last year. They may go back to the well again with that strategy.